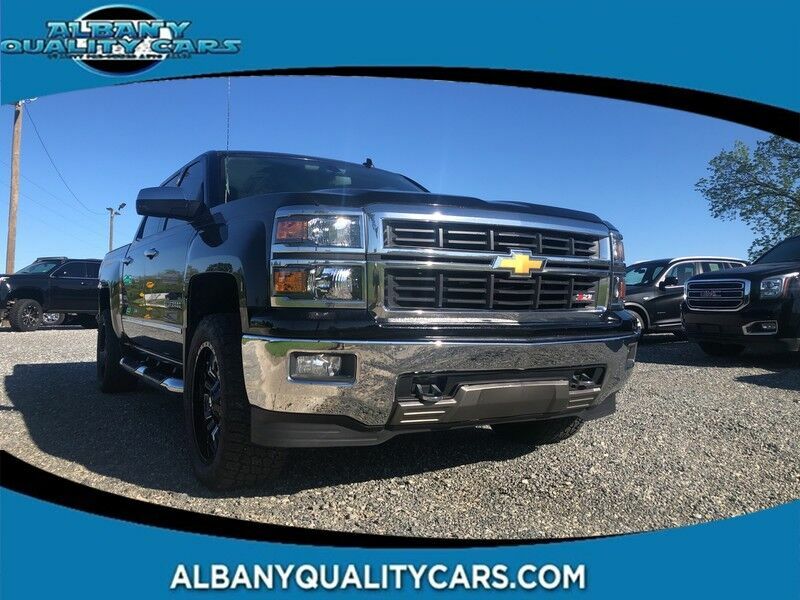 This 2014 Chevrolet Silverado 1500 LT is offered to you for sale by Albany Quality Cars . Taking the road less traveled has never been more fun than with this 4WD. With improved performance, mileage and acceleration, this 2014 4WD Chevrolet Silverado 1500 LT is king of the off-road. You can finally stop searching... You've found the one you've been looking for. Just what you've been looking for. With quality in mind, this vehicle is the perfect addition to take home. More information about the 2014 Chevrolet Silverado 1500: The full-size pickup truck segment has never been more popular, or more competitive. With its 2014 Silverado 1500, Chevrolet has staked its claim once again as king of the hill. The new Silverado boasts a refined level of comfort, sophistication, and brute force now found in trucks from Ford and Ram, specifically in the all-aluminum range of engines, where Chevy has laid claim to the most fuel-efficient V8 found in a full-size truck. In fact, at 23 mpg on the highway, the 5.3L unit provides a better return than the turbocharged V6 employed in the Ford F-150. Add in the fact that Chevy managed to make so many innovative changes while keeping the base price steady, and it's no surprise that the new Silverado is a hit. Strengths of this model include best fuel economy of any V8 pickup, Improved interior with added comfort and convenience, extensive features and options, and best-in-class tow ratings "OUR LOW OVERHEAD ALLOWS US TO SELL FOR LESS"